Tonight 22 Apr. - 23 Apr. Staff are the most amazing and friendly folks, making the experience exceptional. Thank you. 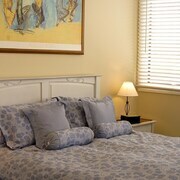 These B&B accommodations are located throughout the area in Healesville. Lovely place to stay. Very clean, very peaceful and lovely outlook seeing the farm animals and hills. 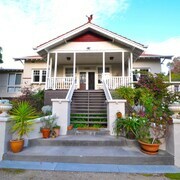 Great location and lovely spot Dealing with the owner was very easy and professional. Really enjoyed staying here. Close to everything and will definitely stay again. Excellent, we will be back You could not ask for a better stay, Donia & Ozzie are all about the customer, so helpful and share knowledge of the area. Wow - from the moment we arrived we had warmth, soft music playing and absolute luxury awaiting us. If its privacy you want then that is what you're getting. Can't fault a thing about our stay. 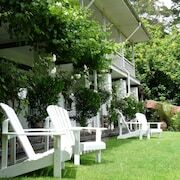 Considering holidaying in Healesville? Whether you're the sort to plan a meticulous itinerary or totally wing it, there's a hotel here with your name on it. Check out our 15 accommodation options within 5 kilometres of all the action. Time to stop dreaming and start booking! Yoga and chia seed bircher at the break of dawn isn't everyone's favourite way to get the day rolling. Give yourself some time for some lazy mornings by staying among the action at Healesville Apartments and Sanctuary House Resort Motel. Take time to reconnect with the natural world at Maroondah Reservoir Park. 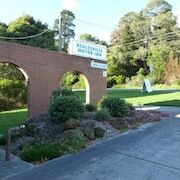 If you're wanting to spend a few nights nearby, take a look at Healesville Maroondah View Motel and Healesville Haven Accommodation Easy as! Discover Healesville Glassblowing Studio, an established local exhibition space. Be sure to closely peruse the program for upcoming shows before visiting. 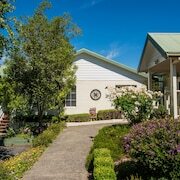 You can spend time at it whenever you like, especially if you're crashing at the Healesville Garden Accommodation and Argyles Yarra Valley - Yambacoona Homestead. After more options? 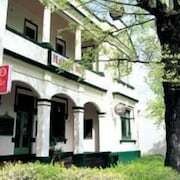 The Chateau Yering Historic House Hotel is located 14 kilometres away from the main central area, and the Lochiel Luxury Accommodation is 25 kilometres away. Further alternatives are the Candlelight Cottage, 25 kilometres away, and the Adeline Bed and Breakfast, 25 kilometres away. Dixons Creek is another place where you can kick back and order up some room service like a boss. 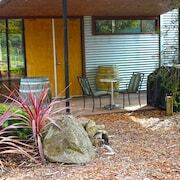 Located 11 kilometres northwest of Healesville, it's where you'll discover the Outlook Hill and the Fergusson Winery & Restaurant. 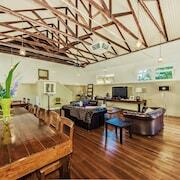 The Burrow At Wombat Bend and De'Vine Escape are some of the great hotel and apartment options here. 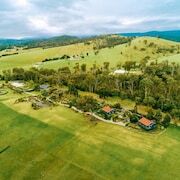 Alternatively, you could stay in Yarra Glen, 14 kilometres to the west of Healesville, where you can pick from The George at Yering and Yarra Glen Racecourse Apartments. The Rochford Wines Yarra Valley and the Maddens Rise are among the more popular sites to explore when visiting Yarra Glen. If you've gotta stay close to the airport, see if you can book a night at the PARKROYAL Melbourne Airport or the Holiday Inn Melbourne Airport. And if you can't be bothered looking it up, Tullamarine Airport is located 60 kilometres from the centre of Healesville.